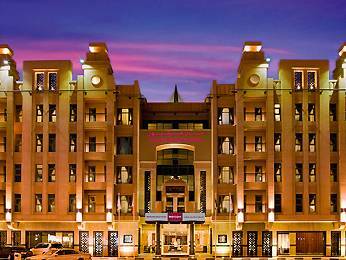 Mercure Dubai Gold Al Mina Road welcomes visitors to enjoy four-star hospitality in downtown Dubai. We offer 24-hour reception and room service to accommodate your needs day and night. 184 stylish, comfortable rooms are equipped with high-speed Internet connections, satellite TV, and spacious bathrooms including bathtubs and walk-in showers. Only 20 minutes from Dubai International Airport, the hotel is ideally located near the Dubai Convention Centre, World Trade Centre and Jumeirah Beach. 2 individual boardrooms accommodating 15 persons, combinable to one large area of 68m Sq. Equipped with overhead mounted LCD projectors to offer an ideal venue for conference, meetings and trainings. Located on the ground floor beside the business centre.